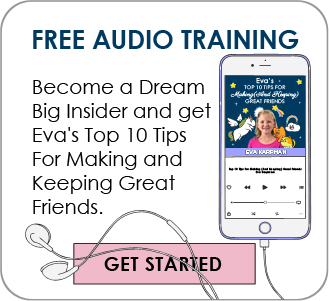 Eva and I are so blessed to introduce our Big Dreamers to Mel Robbins, although I’m sure many of you already are familiar with Mel’s work. A regular CNN contributor and author of the best-selling phenomenon 5-Second Rule, Mel is one of the most sought out speakers in the world right now and when you listen to the interview you’ll understand why. She has so much energy and so much wisdom. 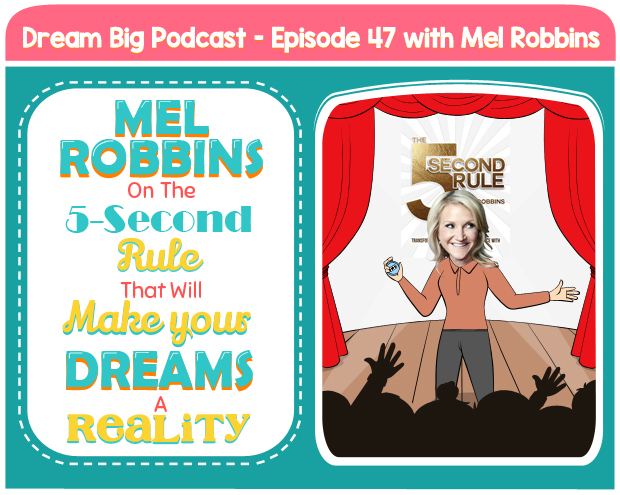 And the 5-Second Rule that Mel shares in our interview will be the difference between you making your Big Dreams a reality or not. So this may be the most important episode we’ve ever published! Mel shares the different career paths she has taken thus far in her life, and how change is a good thing. Mel’s “5-second rule” and how it can help in your daily life. Mel talks “simple” VS “easy” and what makes them different. Mel’s advice on how you can improve your public speaking skills. What Mel enjoys about being a mom. Mel’s greatest achievement so far. Mel’s hobbies and the things she does for fun. Mel’s advice to her 10-year old self. Mel’s BIG DREAM for the future.